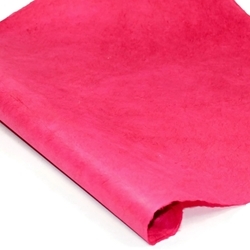 Incorporate solid Pink Lokta Paper into your next project. Nepalese paper artisans hand-craft Lokta paper out of fibers from the bark of the Lokta bush. Nepalese Lokta Paper is a strong, durable and eco-friendly paper handmade from the fiber of the "Nepal Paper Plant," also called the Daphne Shrub or Lokta Bush. This natural rose Lokta Paper features subtle fiber inclusions, adding handmade beauty to whatever you create with it. Lokta paper provides a wonderful “blank canvas” for art applications, paper crafts and is ink jet and laser printer compatible. The fibers are long and flexible providing exceptional strength, perfect for use in scrapbooking, block printing, screen printing and origami. 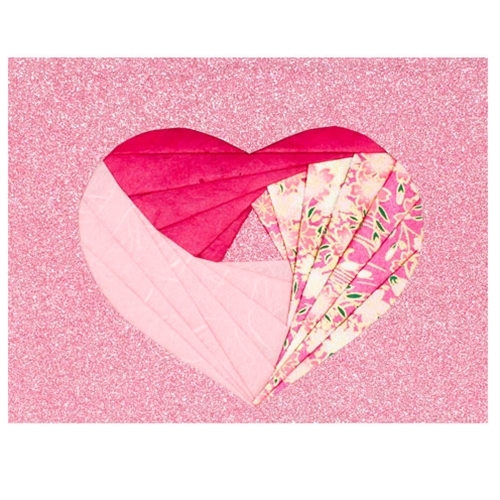 Available in 4 sizes: 6" x 6", 9" x 9", 8.5"x 11" and 20" x 30"
This pretty-in-pink note card uses Ruby Rose Lokta paper and other Mulberry Papers in the iris-folding technique to create a unique heart-shaped design. 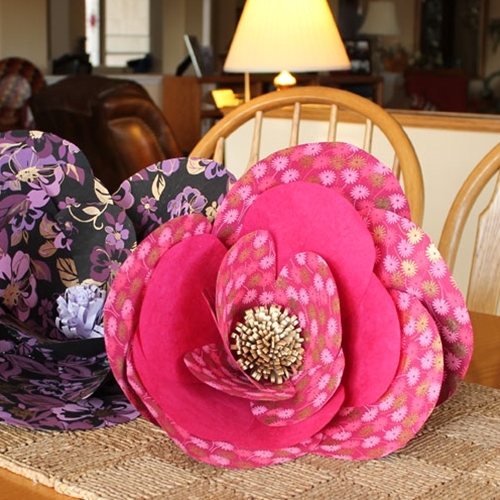 Lokta, Mulberry, and Cotton Rag papers were used to create these beautiful floral centerpieces.